All of the card issuers have different ways that they deal with people trying to “game” the system. Obviously card issuers want to encourage profitable behavior, so they do what they can to create policies that maximize the odds of that. There’s no doubt that by adding these restrictions they’re missing out on some potentially profitable customers, though there’s a balance there. What’s interesting is that up until now some Chase co-brand cards haven’t been subjected to this rule. So while cards like the Chase Sapphire Preferred® Card and Chase Sapphire Reserve® Card have been subjected to the rule, some of Chase’s co-brand cards haven’t been. 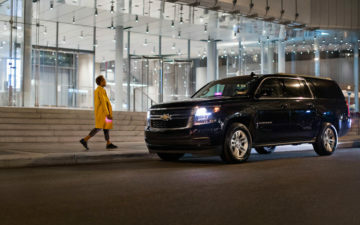 On Wednesday I attended a briefing in New York about The World of Hyatt Credit Card, which comes with some great perks. There were representatives from both Hyatt and Chase there, including Chase’s president of co-brand cards. 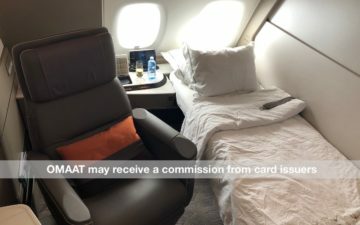 Historically Hyatt’s credit card hasn’t been subjected to the 5/24 rule, and there were questions about whether or not that would change with the new card. When answering this question, Chase’s president of co-brand cards said that while nothing is changing with the card right now (which suggests that 5/24 wouldn’t apply), Chase plans to expand the 5/24 rule to their entire portfolio of cards soon. We don’t have a timeline for when this will happen, and ultimately we don’t know if the implementation of this has already been set in motion, or if this is just something they’re hoping to do down the line. So this is something we could see within weeks, within months, or way further out. Only time will tell. Chase isn’t dumb. They have data on their customers, and they can easily determine the profitability of each customer. So I trust the 5/24 restriction as such is a sound business decision. Sure, in some cases they’re probably losing out on some potentially profitable customers, though in a majority of cases the customers who are above it may not be profitable. We don’t know for sure if this is the best possible restriction they could have in place, but I imagine it’s better for them than not having it. Personally what I’d like to see is that they apply the 5/24 restriction to the welcome bonus, rather than to the acquisition of the card as such. In other words, let people above 5/24 get a card, but with no bonus. This is similar to what American Express does with their “once in a lifetime” bonus rule,” and that way people who want to put significant spend on the card aren’t locked out. For now it seems to be “business as usual” for 5/24, including for The World of Hyatt Credit Card. However, expect the rule to be expanded sometime in the not too distant future, to the point that all Chase cards will be subjected to the rule. What is their research shows that people over 5/24 aren’t likely to be profitable *even if* they don’t get a welcome bonus? Truth to be told, they probably don’t want really savvy miles and points “gamers” to be their customers at all, welcome bonus or no. They would much prefer people who are kind of attracted to the idea of earning rewards but that don’t necessarily redeem their points for maximum value — and most important of all, they want people who revolve balances at least sometimes. If they know people over 5/24 have a very low probability of revolving or incurring fees for late payments, those people might not be profitable even if they don’t get a welcome bonus. Best case scenario, Chase gets some interchange revenue from those customers, but that usually is just enough to cover the cost of rewards. For example, with Chase Sapphire, reportedly the entire annual fee goes to benefits and all of the interchange goes to pay for rewards, so there’s no profit in it for them if they don’t attract some revolvers to use the cards. The 5/24 subjected to a co-brand card is separate from the question of which cards count. Can we assume that biz and charge cards aren’t counted? @Kirk Benson – Biz cards dont count toward (or increase) 5/24 because they dont show up on your credit report. A personal charge card would. However, if you’re over 5/24 and want to open a Chase biz card, you’d be denied. I am surprised that the hotels in the co-branded cards let them get away with denying someone a card . Amex with their SPG cards never had this problem, so people could get these cards even if 10/24, so more likely to stay with SPG. It seems Chase trying to CYA but the hotels like Marriott get screwed as they lose potential customers until time passes to drop below 5/24. Maybe that is why Marriott was desperate to acquire SPG??? There will be a major recession at some point in the next 12-18 months. And banks, including Chase, will be begging us to come back. Just loose talk from a bank executive trying to push folks to get non 5/24 cards ASAP. There is litttle advantage to 5/24 for the hotel partners. 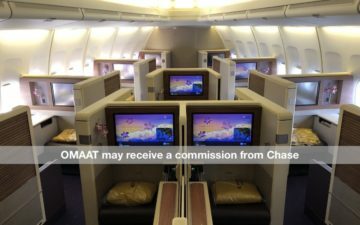 I have had the Hyatt Chase Visa card for years, so no recent intro promotion award. How about canceling the old card and 1 week later applying for the new card? Another blogger mentioned this strategy, but you didn’t. Would that be considered gaming, or could I get denied the new card due to the 5/24 rule?